Victor VBS-63 Badminton String is a 0.63mm string wrapped with high-strength multifilament that provides a high and crispy hitting sound. VBS is made from high-strength nylon fibre, maintaining an excellent resilience and durability to achieve a comfortable hitting feel. 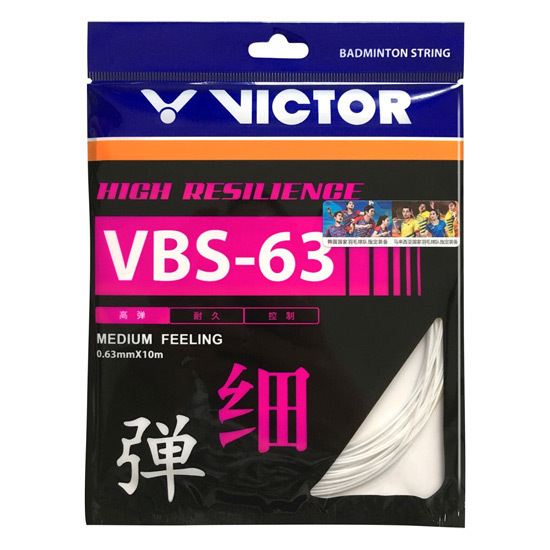 The string is suitable for the players pursuing good placement and high control.